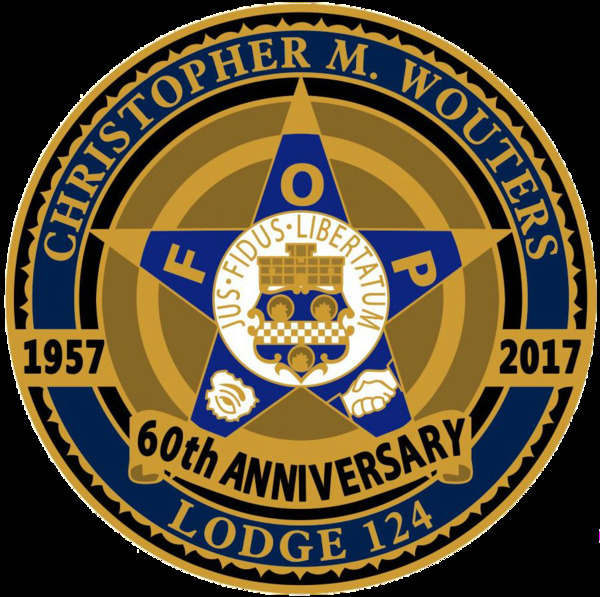 Christopher M. Wouters Fraternal Order of Police Lodge #124, 1st Annual Weapon-a-Week Raffle. Winners will be drawn on Saturday evening, beginning 01-5-19 and thru 12-28-19. Watch the Michigan State Lottery evening three digit number you will win the listed weapon for that week. 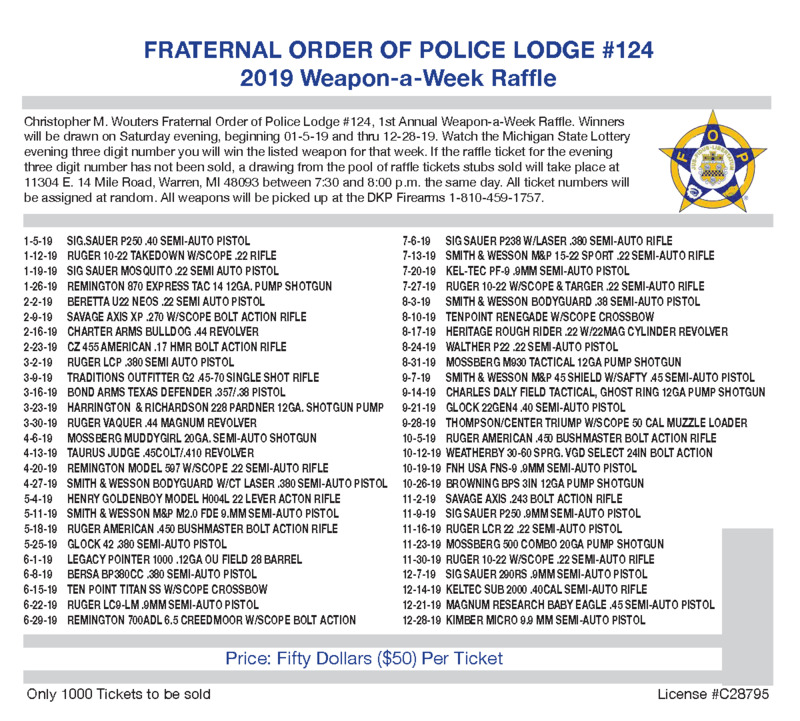 If the raffle ticket for the evening three digit number has not been sold, a drawing from the pool of raffle tickets stubs sold will take place at 11304 E. 14 Mile Road, Warren, MI 48093 between 7:30 and 8:00 p.m. the same day. All ticket numbers will be assigned at random. All weapons will be picked up at the DKP Firearms 1-810-459-1757.